There are 12 teams in the Super League and one of them is US! Many of our members may not even be aware, but it’s kind of a big deal in basketball. These are the 12 best teams in the country and most of them (including ours) have Irish and foreign players, some of whom are from the USA where they have played college ball. Others are from European countries where basketball is a bigger deal than here. In short there is some good ball going on and you’re missing it! Our team needs everyone in the club to get behind it. The lads work hard and it really helps to have a crowd at all the games. 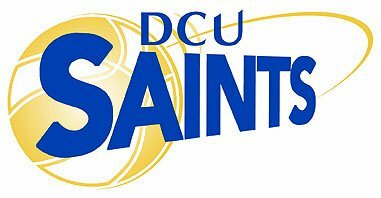 Just so you know the team is “branded” DCU Saints, but it’s our team, we just lend it to the university! The campus is split in half to prevent traffic using it as a shortcut. 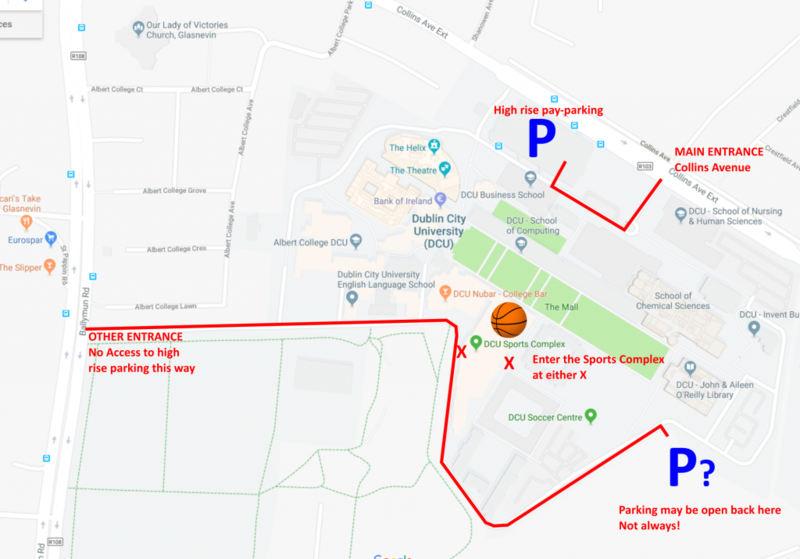 There is often parking available out the back (access via Ballymun Rd) but NOT ALWAYS. You may also park in the high-rise by the main Collins Ave entrance. Aim to arrive 30 mins before game time, especially on your first visit!